check out the items I make available across a variety of sites. 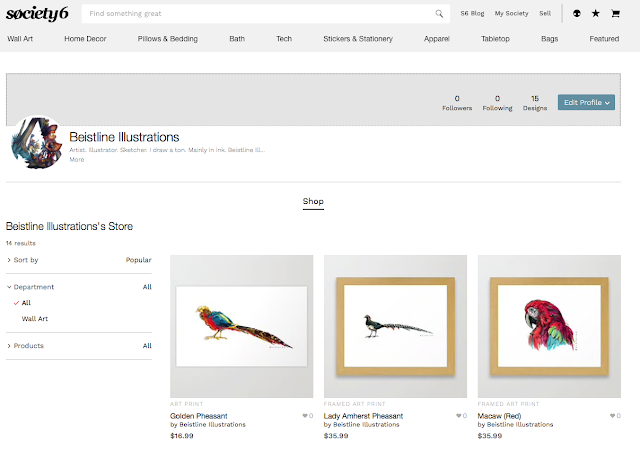 Society6 has mostly art prints of my artwork and some merchandise. 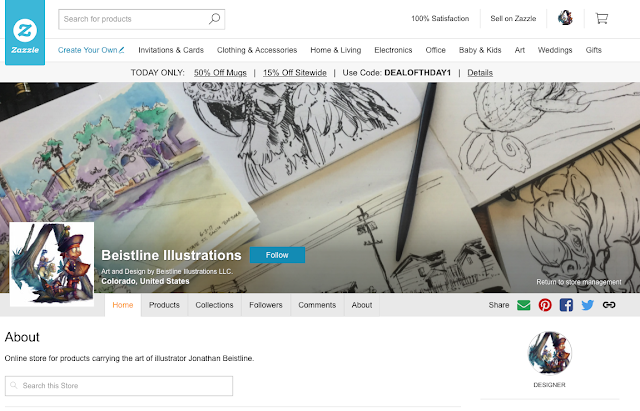 Zazzle is a source for my artwork and sketches on merchandise like Tshirts and mugs. 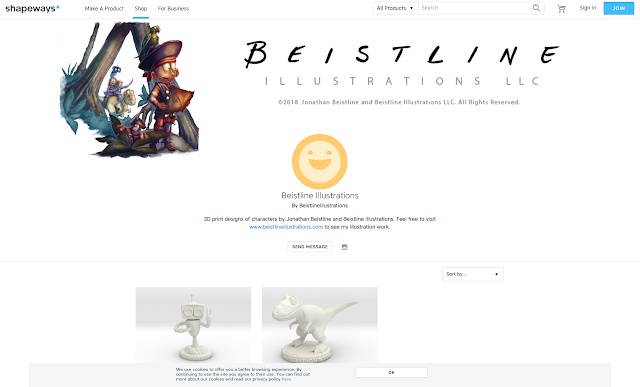 Shapeways is a place where I post some 3D print models for that extra special desktop decoration. Come on, who doesn't want a Trex on their office desk? Feel free to request art for products and I'll work to put a product together for you.